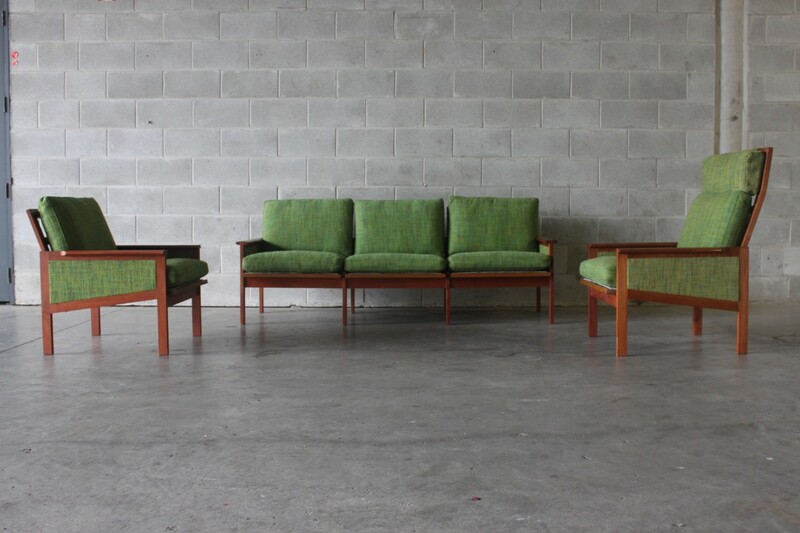 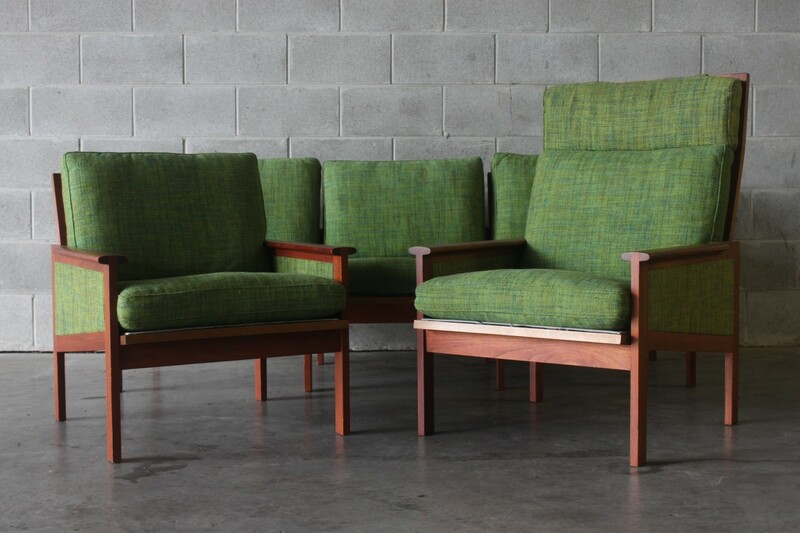 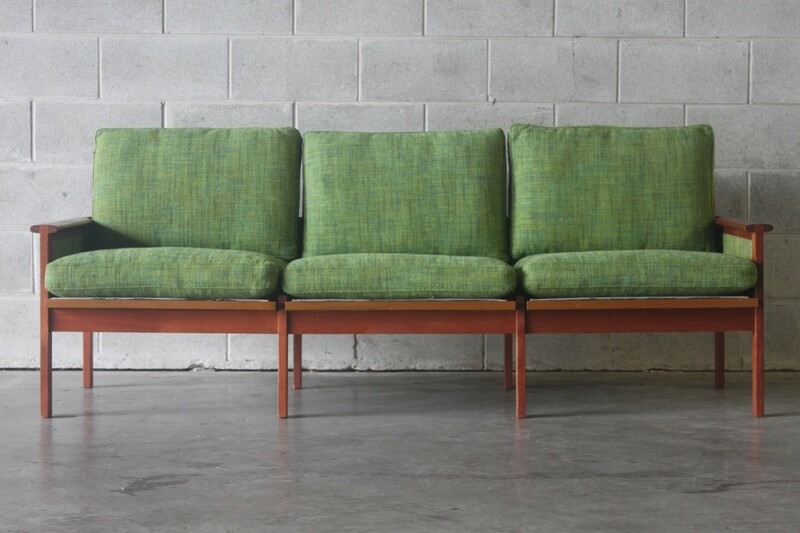 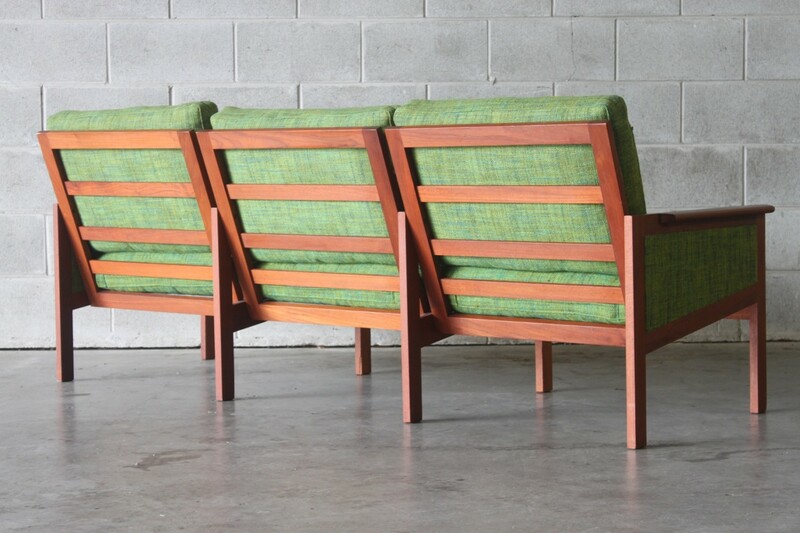 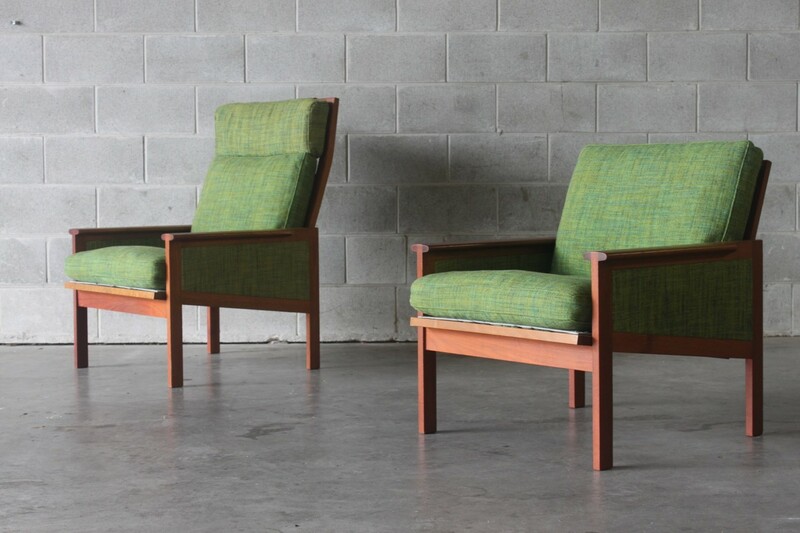 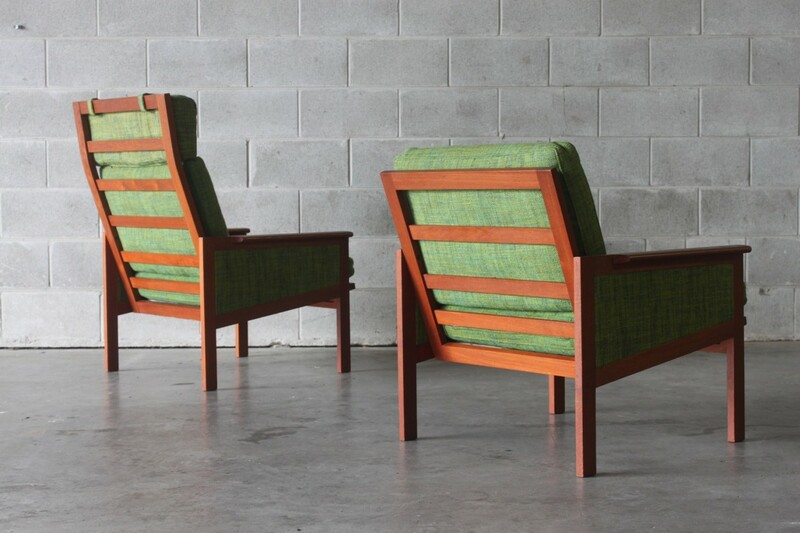 A sofa set by Illum Wikkelso consisting of a 3 seater sofa and a pair of armchairs covered in thick green covers. 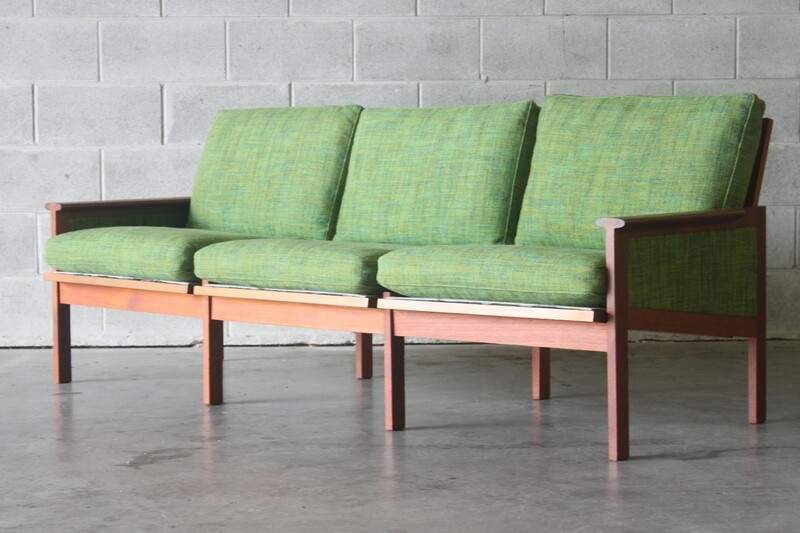 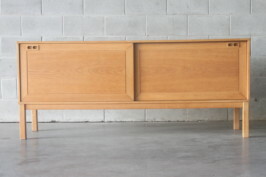 This suite is very clean and incredibly solid and sturdy with exposed joinery and new webbing. 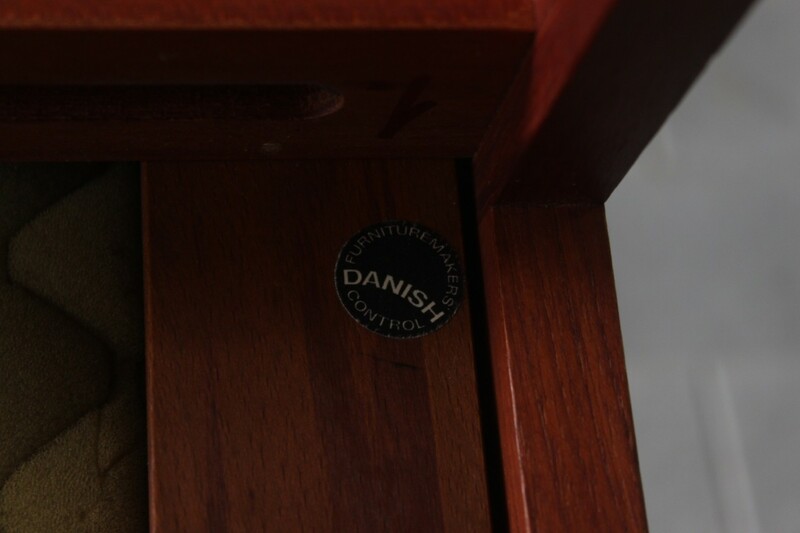 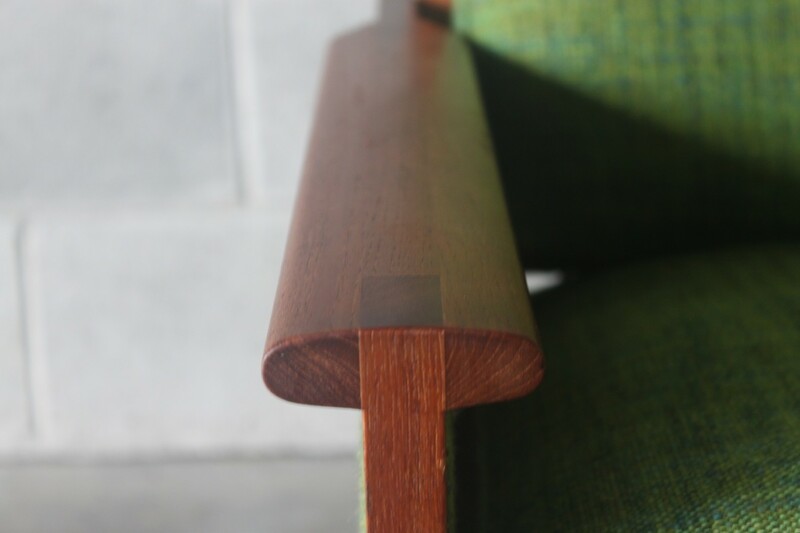 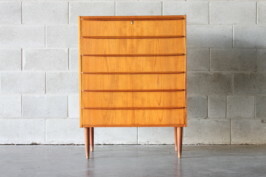 Furniture by Illum Wikkelso is always of high standard with original Danish control sticker present.